Not that long ago Warner Bros released a new, extended, trailer for the upcoming Godzilla movie. This one is the best one yet! That’s quite a hard thing to say considering what we have seen so far. Not only do we get a great ending of the trailer – I’m not going to say as you will have to watch it to the end to see. We also get about 75% of the trailer being made up of new footage. It seems to show less of the action but hints more at the story. One of the things that was never that important in this series. 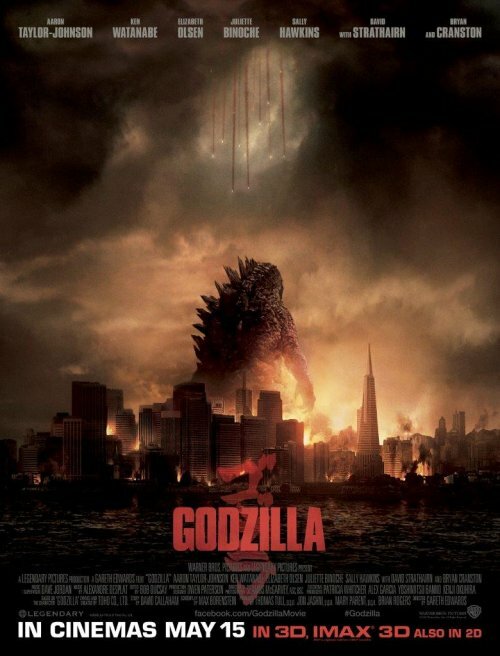 All the story is is a set-up for Godzilla to destroy Tokyo and fight that film’s baddie. We also get the chance to look at a new poster for the film. It looks like all they have done is changed “Coming soon” to “May 15”. With the amazing new trailer, dissapointing new poster we have also been sent some images. More destruction and images that link into the new footage in the above trailer.